Creates business and capital partnership with Tomen. 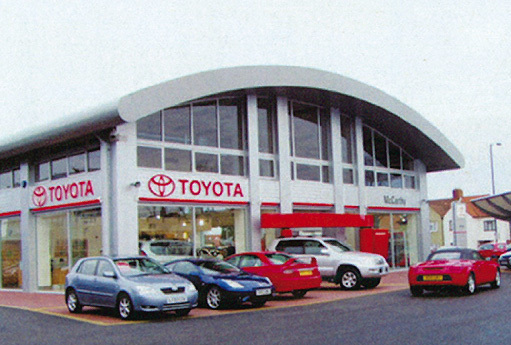 Founds Toyota Jamaica Ltd. (Jamaica) as direct Toyota automobile retailer. Opening ceremony of direct Toyota automobile retailer Toyota Jamaica, Ltd.
Concludes business partnership agreement with Kimura Unity. 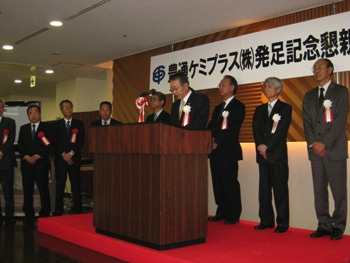 Gains Tomen's steel-related subsidiary, Oriental Kogyo, and Kanto Coil Center. 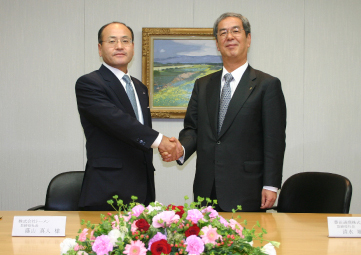 Founds joint venture company Care Port Japan, which settles caregiving payments. 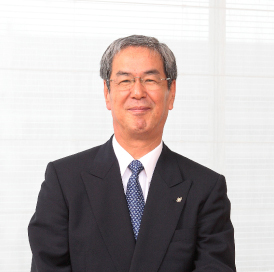 Appoints Masaaki Furukawa president & CEO. Newly buys Tomen-owned shares in electronic component seller Shanghai Hongri. New purchase of Tomen-owned shares in electronic component seller Shanghai Hongri. Toyotsu Logistics completes its Anjo Sales Office Device Logistics Center. Gains Tomen's nonferrous metal business. Receives third-party allocation of shares from Tomen. Buys Toyota Lexus dealerships Jemca and McCarthy in U.K.
Begins equity participation in Tomen Petroleum (S) Pte. Ltd., and renames it Tomen Toyota Tsusho Petroleum. 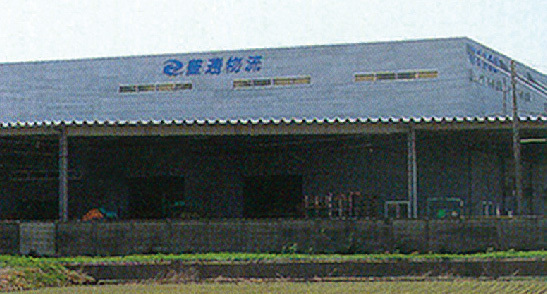 Founds Hangzhou Kobelco Construction Machinery Co., Ltd. (China). 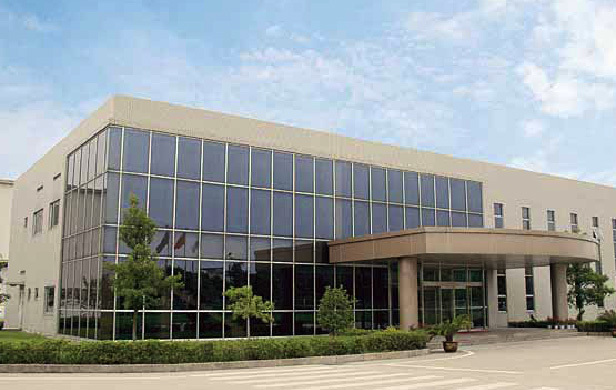 Hangzhou Kobelco Construction Machinery Co., Ltd. Provides disaster relief to victims of Indian Ocean earthquake (Sumatra-Andaman earthquake) and tsunami. 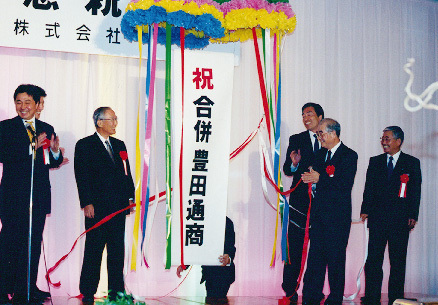 Toyotsu New Pack moves headquarters and factory to Miyoshi-cho, Aichi. 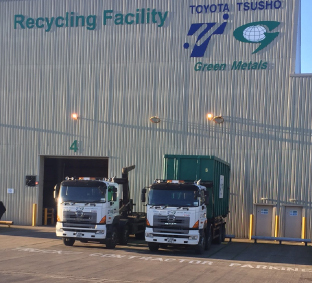 Toyotsu Logistics completes Miyoshi Logistics Center. 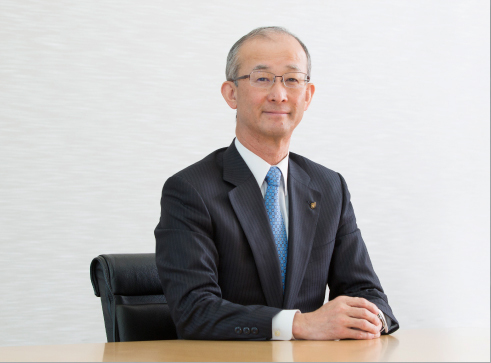 Appoints Junzo Shimizu president & CEO. Concludes merger contract with Tomen. Changes number of stocks per unit from 1,000 to 100. One year after merger with Tomen, number of shareholders increases by six times. 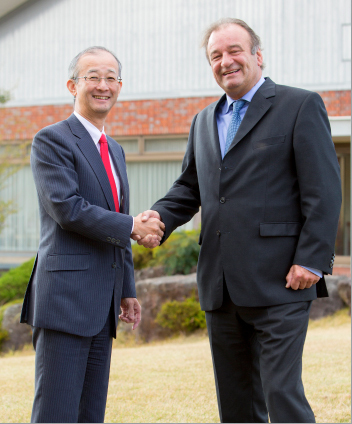 Concludes business and capital partnership contract with Fukuske. Founds Green Metals UK, Ltd. (U.K.). 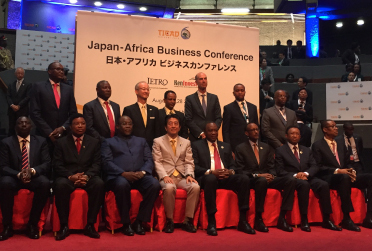 Participates in Tokyo International Conference on African Development (TICAD) IV. Concludes MoU on mutual cooperation in infrastructure and energy with Kazakhstan. 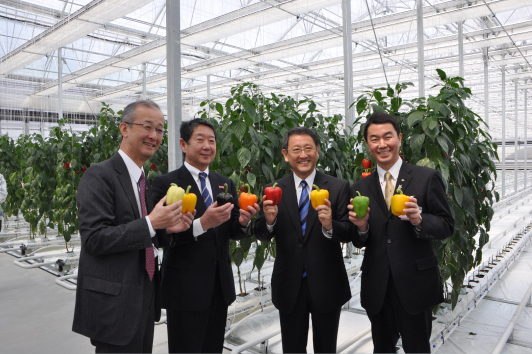 Founds agricultural corporation Vegi-Dream Kurihara. 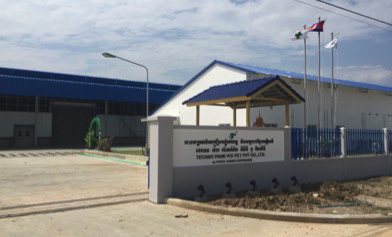 Founds Toyota Tsusho Vietnam Company Limited (Vietnam). 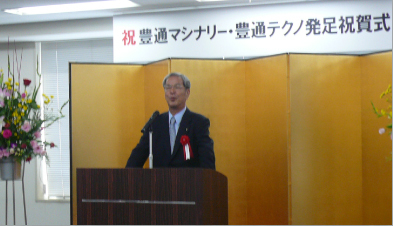 Merges Tomen Chemical, Tomen Plastics, and Toyotsu Plachem to found Toyotsu Chemiplas. 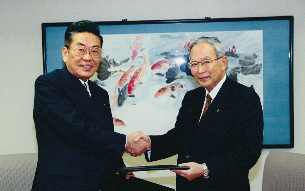 Acquires additional shares from Fukuske, and makes it subsidiary. Toyotsu Syscom completes Techno Center. 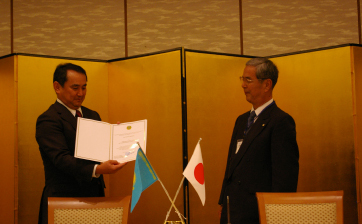 President & CEO Junzo Shimizu becomes Kazakhstan's honorary consul in Nagoya. 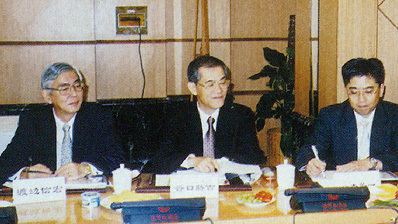 Toyotsu Machinery, Toyotsu SK, and DICO merge, changing consolidated company name to Toyotsu Machinery. 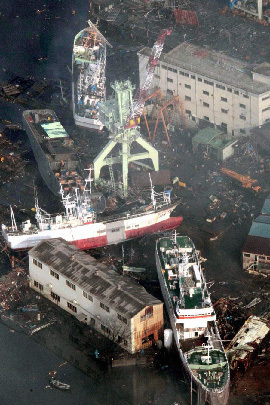 Donates 100 million yen to victims of Great East Japan Earthquake. Provides 10 thousand pieces of bread made by First Baking as relief. Appoints Jun Karube president & CEO. 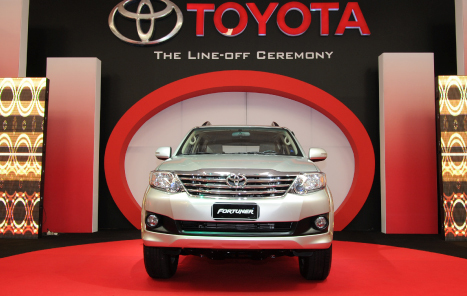 Toyota Tsusho takes part in planning of event featuring Toyota SUV's drive off production line in Egypt. Buys 97% of shares in France's CFAO. Purchase of 97% share in France's CFAO. 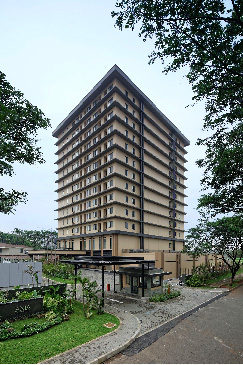 Enters Indonesia's hotel residence business. 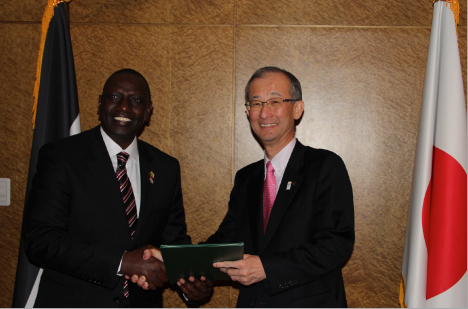 President & CEO Jun Karube becomes Republic of Kenya's honorary consul in Nagoya. 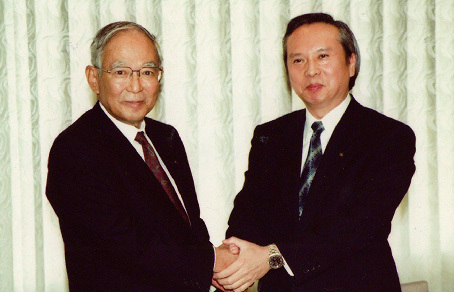 Transfers 67% of Chubu Syokuryo's authorized shares to Kokubu. Appoints two women as outside directors (members of board) as first appointment of non-male directors. Concludes promotion of fishery business memorandum of understanding with Kinki University, and becomes first in world to artificially produce Pacific bluefin tuna hatchlings on large scale. 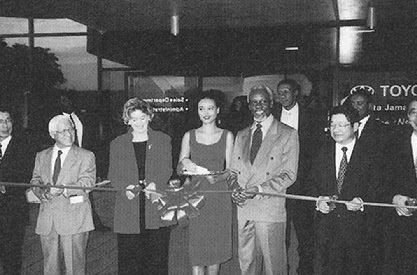 Holds opening ceremony for Toyota Kenya Academy. 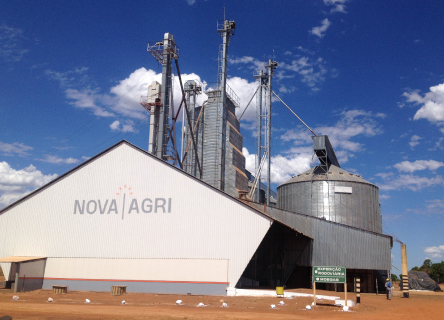 Buys Brazil's grain infrastructure business company Novaagri. 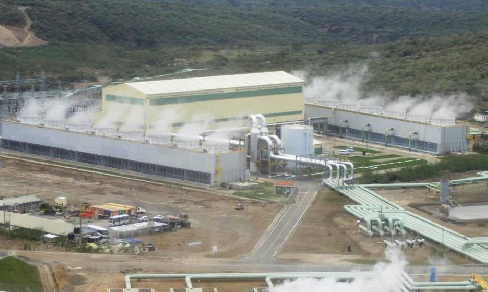 Completes Olkaria Geothermal Power Plant in Kenya. 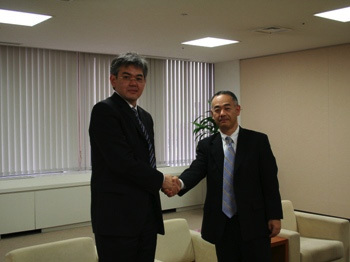 Begins first Japanese technopark business in Cambodia. 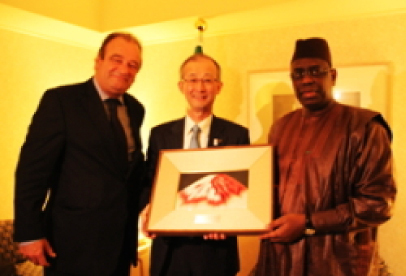 Record extraordinary loss of approximate sum of 14 billion yen through investment in European recycle business company. 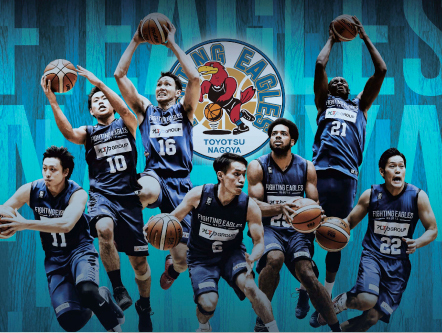 Corporately owned basketball team, Fighting Eagles Nagoya, goes professional. Lowers full-year consolidated projection to minus 35 billion yen. Concludes letter of intent for comprehensive collaboration with France's Bollore Group. Fiscal year ending March 31, 2016 results in 44 billion yen loss, making first deficit since fiscal year ending March 31, 2000. Makes France's CFAO full subsidiary. 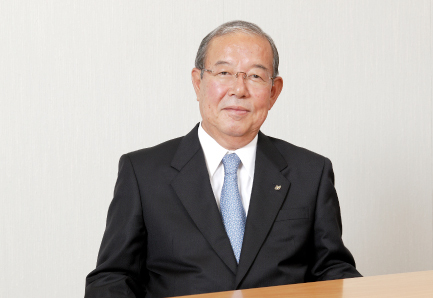 Net income comes to record all time high of 107.9 billion yen. Fully opens Global Gate in Nagoya's Sasashima 24 district. 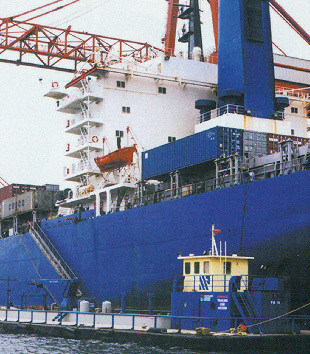 Begins export of completely farmed "Kindai Tuna." © Toyota Tsusho Corporation. All rights reserved.